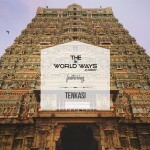 The World Ways came into being through The Munnar Ways which happened during last year’s Ramadan. So for this Ramadan too, I wanted a trip to happen. 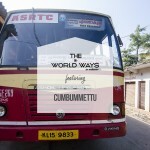 I, or rather we, got jumbled through a set of plans – Munnar Top Station, Marottichaal Waterfalls, Pooyamkutti Waterfalls, Parambikulam Tiger Reserve, to name a few. From the initially planned three, the number of my co travelers trimmed down to one. Alongside, our mode of transport shifted from Tata Zest to Nano and lastly to KSRTC. 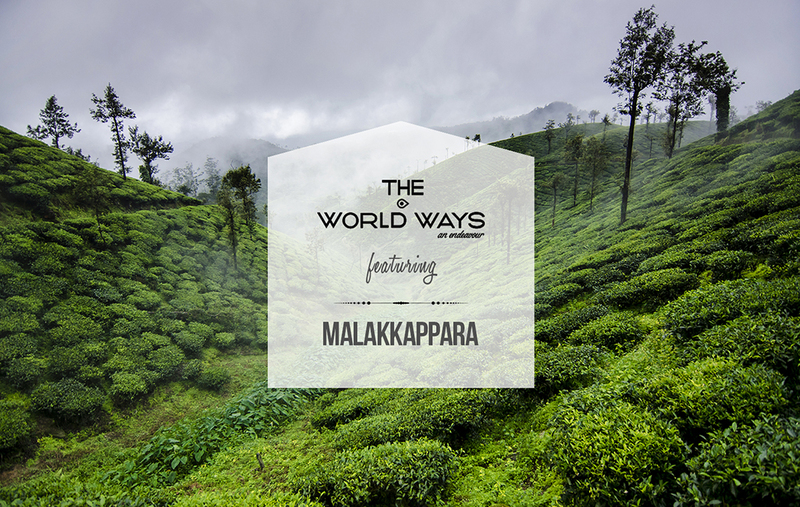 As I finally decide to set off to Malakkappara , I’d two things in mind – firstly, rain was heavy for the day and I didn’t want it to spoil my trip like it did for The Varkala Ways. Secondly, even if I’ve to do it solo, I’ll go ahead. Rain did bother me since it was pouring heavily for the whole day, but it couldn’t pull me back from my plan. Myself and my friend Anandu took a KSRTC from our homeland and reached Chalakudy bus stand by 5:40. Since I’d once traveled the proposed route by bus, I was familiar with its timings. Thottathil Transport or KSRTC was the only question. But the very thought of meeting Biju, Thottathil Transport’s conductor, freed me from dilemma. After a cup of hot tea and uzhunnuvada from bus stand, we walked to Chalakudy private bus stand. But contrary to what I thought, Thottathil Transport had another driver as well as a conductor. The ticket fare to Malakkappara was Rs. 70/- per head. Like in The Valparai Ways, the bus came to its first halt for breakfast at 8:30. The playfulness of fog as well as rain was very much visible as we drove up the hill. Upon reaching Malakkappara by 10:30, we hired a double room for Rs. 800/-. Keeping aside clothes from backpacks, we set out to explore the place by foot even though a native advised us to hire an auto-rickshaw to Sholayar Dam (Rs. 150/- to and fro). 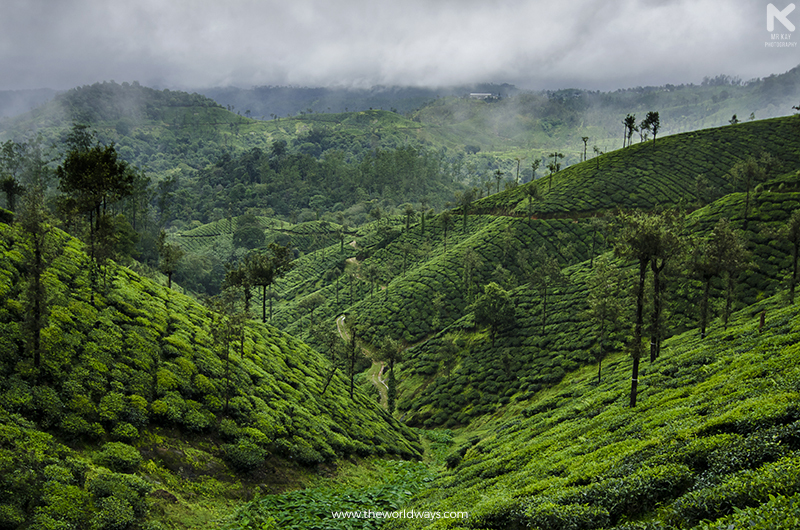 Although our plan was to walk by road, as we saw a mudded path which lead into a tea estate, we thought of going ahead and exploring it. It was raining at regular intervals, but that didn’t pull us back from pulling out the camera and making (maximum) use of it. By the lower layer of our path lied a spot from where I thought I could get a better frame of the far-flung landscape. I somehow managed to step down through the slippery surface and as I started taking photos, once again, the nature went playful by throwing water droplets. I had to wipe the lens’ front element from time to time to avoid water drops disturbing frames. There was fog too. Altogether, it was a mood setter. Instead of chasing time, we enjoyed every moment. Over an hour has been spent amidst the lush green without even bothering about leech bites. Moments like this come once in a while and when it arrives, live it to the fullest. As we were about to resume exploring the place more, layers of fast paced fog covered the view in front of us. After spending 3 hours inside the estate and leading ourselves through periodical rain as well as mist, when we finally got back to a tarred road, it was 14:30. Proceeding, we arrived at a spot that offered a view of Malakiparai Tea Factory. The place was calm and quiet except for the vehicles that pass by. Anandu lit a cigarette while I took my seat upon a pile of rocks staring greenery and that small stream which ran beneath us. Hunger wasn’t anywhere near, but since having lunch is mandatory, we approached the very first hotel on the way – Hotel Alphons. It was past 15:15; so with a doubt of positive response, I inquired whether they still served lunch. The lady in there asked to come in and served us with fresh rice as well as sambar along with yummy beans thoran and pickle. 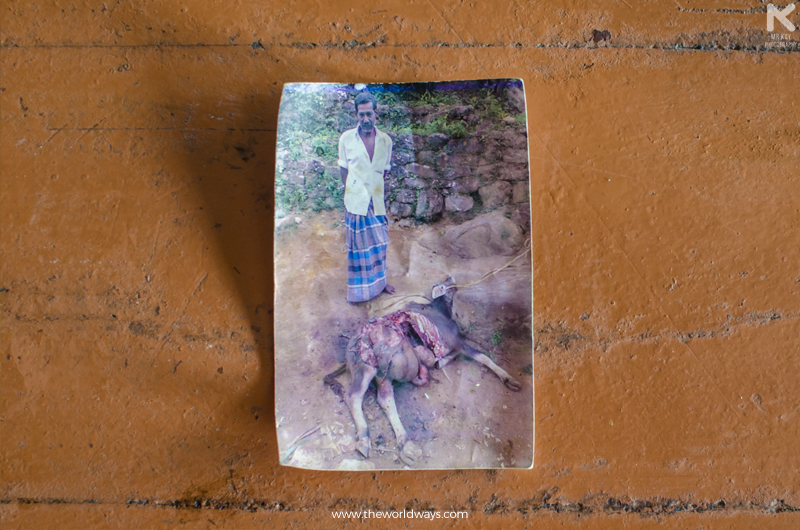 In a conversation amid gulping lunch, the lady, when asked about the presence of wild animals in their locality, along by naming them, showed us the picture of their cow that got brutally murdered by a tiger. They received a sum of Rs. 10,000/- as compensation from the Forest Department. But considering the income they’d from the cow, plus going through the formalities to sanction the recompense, it wasn’t all worth it. Reading the news article of a kid who got attacked by stray dog, she also spoke of the need to control them either by killing or adopting. What is lost, is lost forever and people who walk from AC cabins to AC cars will never empathize the loss of a common man, she added out of sheer distress. Post lunch, as we walked to the Dam, it began to pour again. But walking sans umbrella was our motto for the day. As we neared Dam, it began to pour heavily and for the first time, we had to run to a nearby house’s shelter. 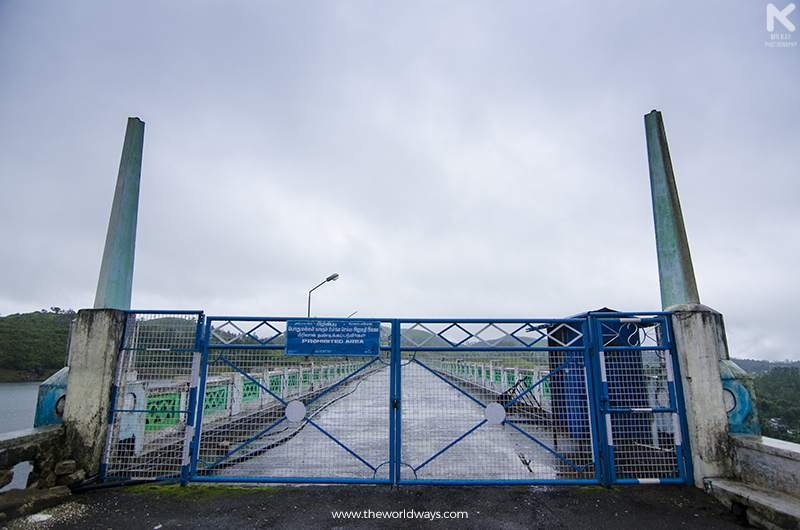 Though it was only a five kilometer long walk, it took us a whole of six hours to even get a glimpse (from a bridge) of the famous Sholayar Dam. Five minutes at that spot and it began to pour again. It went so heavy that we were left with no option other than running (again) for shelter. We ran and took the shelter of a tea shop which was seen at a distance. A cup of hot tea awakened our cold senses. As we stood there waiting for the rain to hush down so that we can resume walking, the shopkeeper, even without our consent, stopped an auto rickshaw which was passing by. Though its driver refused, he made him agree to take us till the Dam for fifty rupees. We reached Sholayar Dam, our destination for the day by 17:35. But since we weren’t allowed to walk across the Dam even after multiple requests to security, we had to satisfy ourselves with what was offered in its milieu. Drizzle gave way to another downpour as we walked to the nearest junction which was at the almost bottom of the hill. Hiring a shared TN registered auto, we traversed till the check post – Rs. 10/-. After a bit of waiting, we got a Kerala auto rickshaw and it took us back to our room for Rs. 20/-. We kept aside our backpacks, including the camera gear and clothes to dry. It rained intemperately and never seemed to stop anytime soon. Post having dinner from a nearby hotel, we hid ourselves under the comfort of blankets. The next day, we took the first bus (7:15) to Chalakudy. 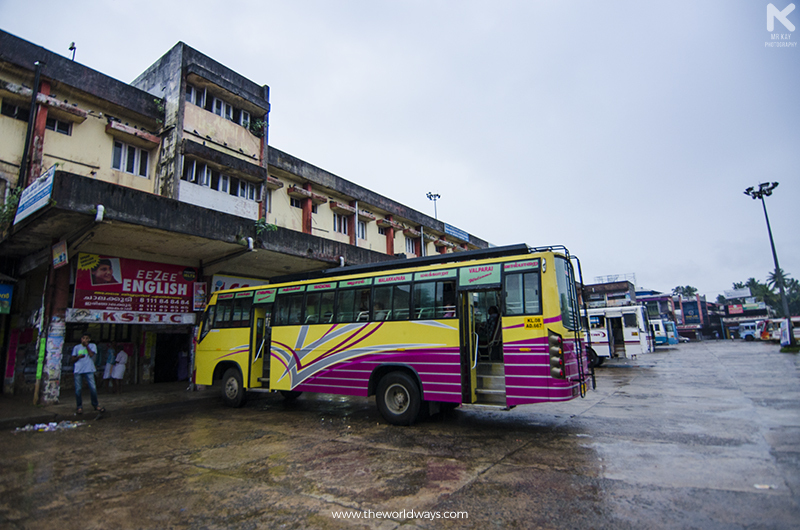 Interestingly, it was a KSRTC (RAM 461) and we got to board it right in front of our room! One hour had passed as we took that deviation to Power House – this route is common for both private as well as KSRTC buses. 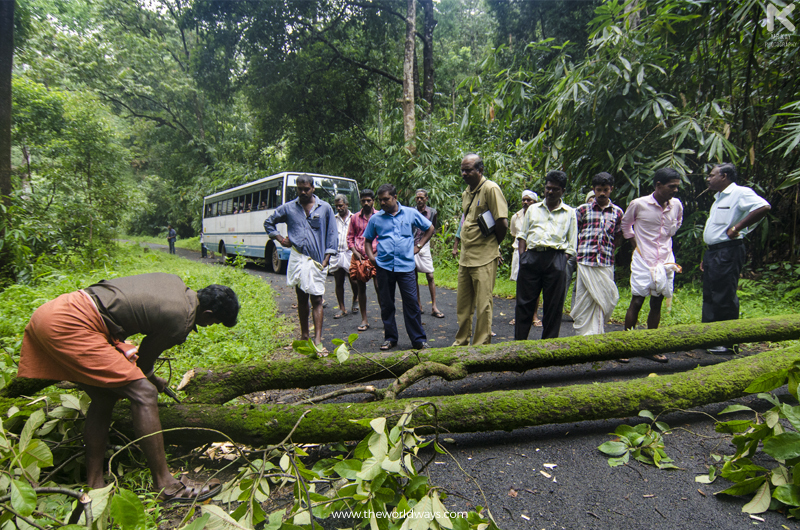 Half way through, we came to a sudden halt siting a tree that lay across the road, blocking our way. Since the Power House is at a walkable distance and not many will board from there, we could easily go back and resume our journey from where we took the deviation. But instead, the driver as well as the conductor decided to proceed to the Power House. Natives came to the scene and one among them, with a machete they carry along, started to cut the trunk. Minutes later, another native joined him on the other end with an axe. When the trunk was finally cut into two, a couple of passengers helped them to get it off the road. After having breakfast from the same hotel, we reached Chalakudy bus stand by 11:00. Later, by around 11:20, we boarded a bus back home.